Readers will see the people, places and events of the Bible come alive with this guide that will enhance your study with any Bible. The Chronological Guide to the Bible's colorful pages guide readers step-by-step through the nine epochs of biblical history -- the same ones used in the best-selling, Chronological Study Bible. Customers will maximize their understanding as they experience God's word in dynamic historical order, no matter which translation they choose to use. 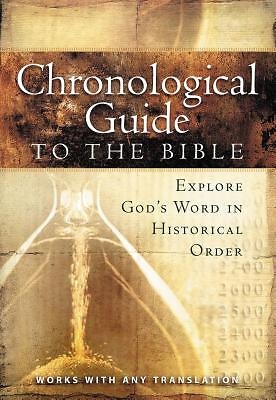 Dig deeper into the cultures and people of biblical times with, The Chronological Guide to the Bible.